In the previous article we saw how Pope Pius XII’s Liturgical Commission conducted the Easter Vigil survey among the members of the Church’s Hierarchy in 1951. By counting the hits and ignoring the misses, so to speak, Bugnini and his henchmen arrived at conclusions that were not fully supported by the data. The result was a partial, over-simplistic and highly fanciful picture of the general opinion among the world’s Bishops on the Easter Vigil ceremonies. Yet it was this self-serving interpretation, which acted as the starting gun for the Holy Week reforms, that would be imposed on the Church in 1955. But why was there no external or independent evaluation to ensure an objective scrutiny of the results? Why was Mgr. Léon Gromier, for instance, not consulted? 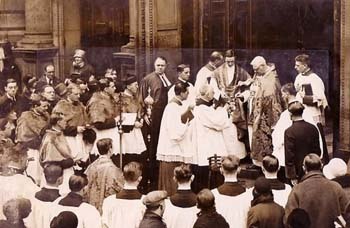 Pius XII could hardly have expected the Commission to act as a dispassionate evaluator of the evidence when he knew that the people running the survey had an obvious interest in a favorable outcome for the Liturgical Movement. This institutionalized conflict of interest should be called by its proper name: fraud. The evidence available so far indicates that this was a survey forged in a crucible of secrecy and deception. Like all “Potemkin façades,” (1) it was designed solely to deceive others with an elaborate and impressive result and thus impress the credulous. It is difficult to know where to start to evaluate the accuracy of these broad and sweeping generalizations encompassing not just centuries but the dizzying complexity of the myriad parishes all over the world. The salient feature of the Liturgical Commission’s survey was its intentional lack of perspective. 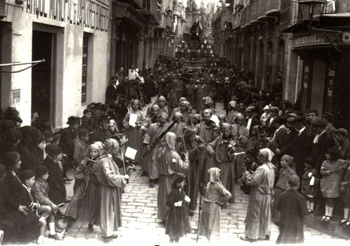 No allusion was made to the many historical variables that may have affected the levels of attendance at the Holy Week services since the Middle Ages, such as the Pseudo-Reformation, the French and Russian Revolutions, the two World Wars and the persecution of Catholics in various countries around the world. While there were bound to be churches where the Easter Vigil was not well attended, this may have been due to any number of causes – for instance difficulty of access in remote areas, shortage of clergy, absence of apostolic zeal or even the effects of the Liturgical Movement itself. We are entitled, therefore, to ask: What percentage of the alleged diminution in attendance was due to the morning celebration of the Easter Vigil? The fact that other contributory factors were intentionally ignored means that the argument rests on shaky grounds. But Bugnini did not need arguments that could be proven, only those that could not easily be disproven by his opponents. His tactic was to present incomplete, out of context and misleading information to unsuspecting faithful who were in no position to judge its accuracy on a world-wide scale; they would have no means of identifying the mismatch between the assumption and the facts. Even if the claim happened to be true – although its veracity is far from established – it by no means followed that changing the Holy Week liturgy would increase attendance. 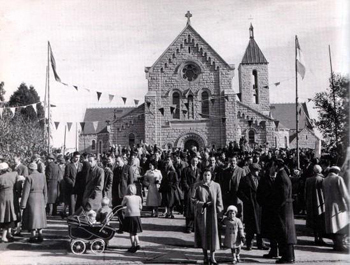 Up until 1955, there is ample reason to believe that the Holy Week services were well attended. Although few people are alive today to provide memories of the pre-1955 ceremonies, there is an alternative source of information: contemporary newspaper coverage. All we have to do is search the archives of various Catholic newspapers dating from the late 19th to the mid-20th century or the Pathe newsreels to provide a reality check. These attest to the fact that Catholics flocked to the Holy Week services, including the Easter Vigil, in great numbers. None of these accounts comes anywhere near the description of almost deserted churches found in Maxima Redemptionis. Indeed, by one of those delicious ironies of which history is replete, Romano Guardini himself inadvertently revealed the non-sense in this claim. It was only in 1956 when Maxima Redemptionis came into force that disaffection with the new Holy Week rites set in among many of the faithful, especially those who were most attached to the traditional ceremonies. The result was that as soon as the novelty wore off, attendance began to fall (12) and the Holy Week services are still playing to rapidly diminishing audiences. Even worse, the administration of Baptism which was meant to be a high feature of the progressivist rites has plummeted to a level unprecedented in the history of the Church. What neither he nor the other Bugnini-bots on the Commission realized was that the Holy Week reform, not being built on the solid rock of Tradition, had all the stability of a house of cards. It is hardly surprising, therefore, that it was subject to imminent collapse. The pejorative expression “Potemkin façades” comes from the 18th-century Russian Minister, Gregory Potemkin, a favorite of Empress Catherine II. When Catherine decided to visit the Crimea in 1787 to inspect that part of her Empire, Potemkin allegedly erected fake settlements along the banks of the Dnieper River so that she would think the poverty-stricken area was a prosperous and thriving place. He is also said to have provided crowds of waving and cheering peasants to impress the Empress as she cruised down the river. It is tempting to draw a real life parallel with Bugnini and his attempts to beguile the reigning Pontiff, Pius XII into believing that all the Bishops were cheering the start of the liturgical reform. The expression is now used, especially in politics and economics, to describe any construction (literal or figurative) built to hide an adverse fact or situation. Countries where Maundy Thursday is a public holiday include Argentina, Colombia, Costa Rica, Denmark, Guatemala, Iceland, Mexico, Nicaragua, Norway, Paraguay, Peru, the Philippines, Spain and Uruguay. Catholic families often took time off work during the long Easter weekend. 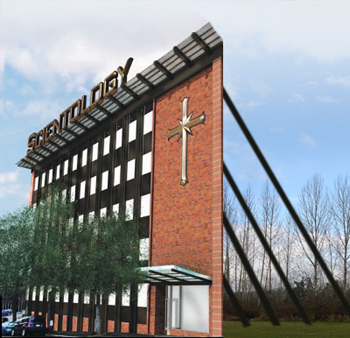 It is a longstanding custom that government offices and many businesses do not operate on Saturday, leaving many Catholics free to attend the morning Easter Vigil. In countries where it was customary for children to attend school on Saturday mornings – even in the unlikely event that this applied to Holy Saturday – it was within the remit of teachers in Catholic schools to accompany their charges to Church services. The Church of the Immaculate Conception at Farm Street, Mayfair, in London has been run by the Jesuits since its establishment in the 1840s. In pre-Vatican II times, it was famous for its phenomenal success in making many thousands of converts to the Church. Established in the mid 19th century, the London Oratory was the largest church in London before the building of Westminster Cathedral. Translated from ‘Reise nach Sizilien’ (Voyage in Sicily) in Romano Guardini, Spiegel und Gleichnis. Bilder und Gedanken (Mirror and Parable: Images and Thoughts), Mainz-Paderbon: Grünewald-Schöningh, 1990, pp. 158-161. “Now that the novelty is wearing off, parishes in many areas report dwindling congregations.” Fr John Coyne, ‘The Traditional Position’, in Charles Cunliffe (ed. ), English in the Liturgy: A Symposium, Templegate, 1956, p. 97.